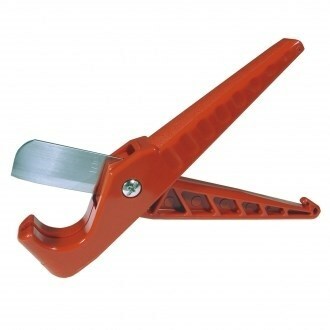 Produces cuts in ABS, PVC, rubber and fabric reinforced hose up to 1" (25.4 mm) I.D. Rigid, durable nylon handle design provides sufficient leverage when cutting so that only moderate hand pressure is required. Stainless steel cutting blade is resharpenable and replaceable.